Your personal physician is very valuable, and having someone who can hold your hand, talk to you, and answer your questions when you are infertile is a huge blessing. This is especially true when your family doctor has a long -term relationship with you - he knows your medical history, your personal preferences, and is someone whom you can trust . He can refer you the best IVF doctor, and help to clarify your doubts when the IVF specialist is too busy to talk to you ! This would be the perfect doctor, but unfortunately the reality today is that this kind of ethical upright doctor is getting increasingly hard to find. The problem is going to get progressively worse because most good students don't want to be doctors anymore . They can see all the problems which doctors have to encounter today, ranging all the way from lack of trust on the part of the patients , to violence against doctors when something bad happens. Most patients today don't even have a personal physician because family doctors have become a dying breed. Also, many people don't have the luxury of being able to pick and choose their personal doctor - they are forced to go to the one their employer or health insurer makes them go to ! 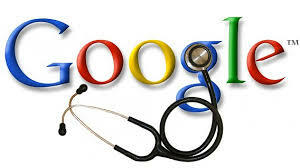 Of course , if you are a millionaire , or you're fortunate and you have a good doctor, then this is not going to be an issue , but for most of us , the sad reality is that we're going to have to increasingly rely on Dr. Google. The good news is that are certain advantages which Dr. Google offers over a real life personal physician. For one thing Dr. Google will not be paternalistic and will not spoon feed you. You're going to have to do your home work for yourself which means you'll be a more enlightened patient , who can make the right decisions for herself. The good thing about Dr. Google is that he's patient and always available - you can ask him the same question multiple times, and he won't get irritated ! Of course getting multiple different answers from different websites may confuse you, but this can also make you smarter , as the depth of your knowledge increases progressively. Dr. Google offers you multiple options , including the ability to ask real life doctors questions through virtual consultations , which means you can become as much of an expert patient as you want to be. The quality of Dr Google's answers depend on the quality of your questions - the better the questions you ask, the better Dr. Google will be able to answer them for you. You can share his answers with family and friends, and this will help you make a well-informed decision, if you need additional insights. His answers are in black and white, and this transparency can give you a lot of confidence that you are on the right track. He will not bamboozle you with medical jargon; and because his information base is updated all the time, you can be sure that the information can be trusted ( provided you go to a reliable website, such as www.healthlibrary.com or www.drmalpani.com !). Of course, the GIGO rule still applies, and you do need to master basic skills to use Dr. Google correctly. If you end up on the wrong website thanks to Dr Google , you're going to end up in trouble . You need to remember that just like a real live doctor has limitations, so does Dr. Google . He's still not intelligent enough to be able to tell you which websites are better for you - you need to do your own background research if you want to become an expert patient. Best of all, Dr. Google is free and always available 24/7, no matter where you are !